I was an assistant professor in Jordan University Medical School, and I have established the lab at King Hussein Cancer Center in 2001 by being one of the two consultants that build the lab and trained the fellows for 8 years. Muscle diseases and weakness: take biopsies from muscles, do complete structural studies on frozen muscle pieces. 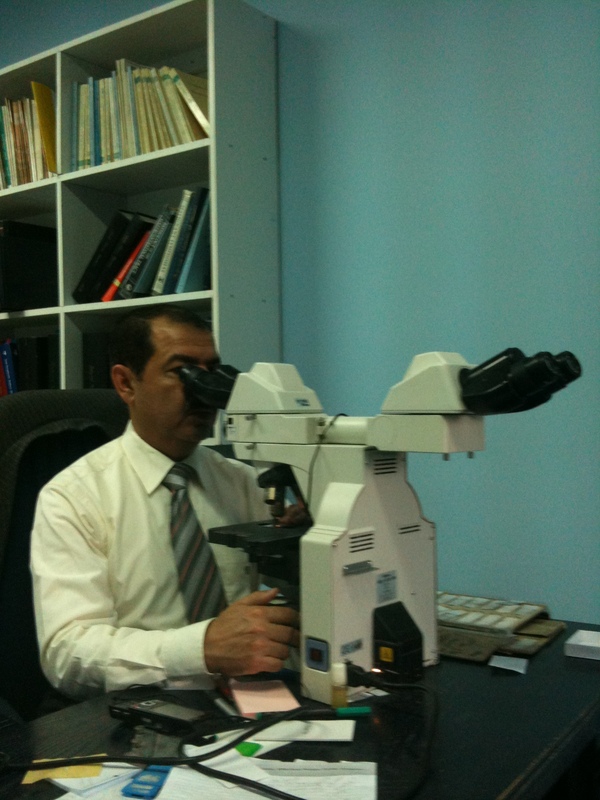 Infertility studies for infertile men: tesicular Fine needle aspiration, hormonal studies and karyotypes. The lab is the one of the main labs for diagnosis of tumors in the region. Asked a question on OpenForum: "Fatal pulmonary embilism "
Asked a question on OpenForum: "Pulomnary emboliss"
Asked a question on OpenForum: "Autism "
Asked a question on OpenForum: "turning point in suicide descision "
Answered a question on OpenForum: "Human papilloma virus in Sexually transmitted diseases "
Asked a question on OpenForum: "Human papilloma virus in Sexually transmitted diseases "
Answered a question on OpenForum: "Obesity Prevention"
Answered a question on OpenForum: "Staking Claim to Medical Cannabis Research"
Participated in a KnowledgeStream™: "Exploring the Utilization of SPECT/CT for Surgical Planning"
Answered a question on OpenForum: "Appendectomy "